﻿ The Old Trading Post Guest House Wilderness. JIMAT di Agoda.com! Ada soalan mengenai The Old Trading Post Guest House? Dengan lokasi mudah di Wilderness, The Old Trading Post Guest House adalah tempat yang hebat untuk menjelajahi bandar yang menarik ini. Terletak 0.7 Km dari keseronokan bandar, hotel 4-bintang ini terletak di lokasi yang sangat baik dan menyediakan akses kepada tarikan terbesar di bandar. Juga terletak berdekatan adalah Sky Paragliding South Africa, Dolphin Point Lookout, Canyon Adventures South Africa. Ambil kesempatan daripada pelbagai perkhidmatan dan kemudahan yang tiada tandingan di hotel Wilderness ini. Pilihan kemudahan kelas atasan seperti Wi-Fi percuma semua bilik, simpanan bagasi, Wi-Fi di tempat awam, tempat letak kereta, pengangkutan lapangan terbang boleh dinikmati di hotel. The Old Trading Post Guest House mengandungi 4 bilik yang dihias indah dan menawarkan televisyen skrin rata, internet wayarles, internet wayarles (percuma), bilik larangan merokok, penyaman udara. Hotel ini menawarkan banyak peluang rekreasi yang unik seperti kolam renang terbuka, taman, sukan air (tidak bermotor). Apabila anda mencari penginapan yang selesa dan mudah di Wilderness, ijadikan The Old Trading Post Guest House sebagai rumah anda seperti berada di rumah sebenar. Lovely hospitality. We had excellent breakfast and dinner and much interesting chat about the locality as well as recommendations for our onward journey. It is just a short easy adrive out of town. There are good walks nearby and the owners have a business offering creek nature tours etc. Wildlife abounds. We would love to come back for longer in the future. Loving dogs an advantage! 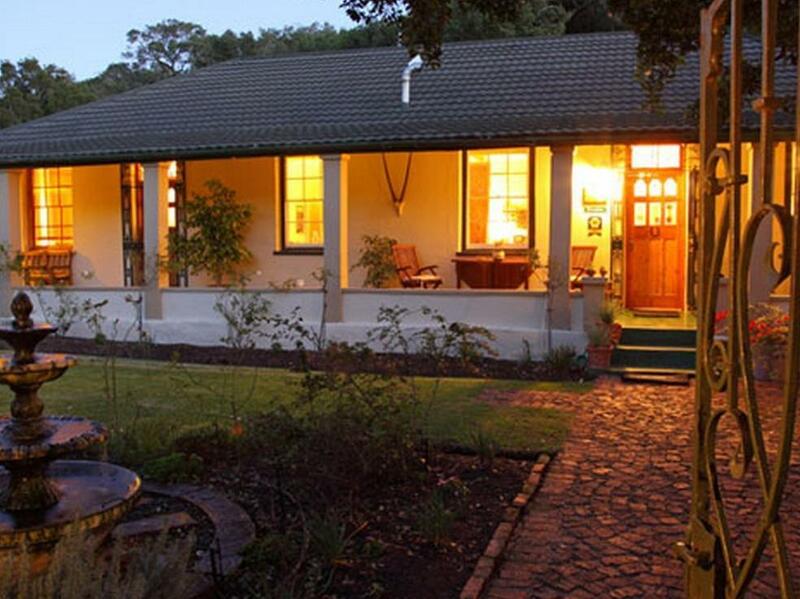 I was a little disappointed - we stayed in a few guest houses between Plett and Mossel Bay. It was the most expensive, smallest, Wi-fi doesn't reach the room, breakfast wasn't included in price, location was not great, Drinking water was "drink at your own risk" from a borehole. Purified water available at a price. Room wasn't serviced. Agoda's website said it was the last available room so I assumed it was popular - we were the only guests. Not very honest of Agoda! I travelled to Wilderness in July for a conference and was looking for a quiet place to stay for a few days. The Old Trading Post was the choice and I don't regret making it. It was very comfortable and the attention given by the hosts was excellent. Although a little out of the main centre, the drives each day around the lakes were genuinely pleasant and a great way to start and end the day. Mike and Hariya were most welcoming but not overbearing, had good recommendations for eating out in Wilderness and we're happy to make table reservations for us. Breakfast, individually cooked to order, was served on the verandah, a real treat - not least due to Mike's friendly and honest conversation and insights into our host country! Everything about my stay was flawless – extremely friendly hosts, comfortable and nice rooms, and all of the comforts of home (including free wifi, an honor bar, comfortable beds, spacious bathroom, garden, plenty of board games, and much more). "The good old days" wurden in dieser Herberge geschmackvoll umgesetzt. Jedes der Apartments beweist Geschmack. Das Frühstück wirklich traumhaft. Daumen hoch!!!! !